PT Alam Sutera Realty Tbk - Alam Sutera is an integrated area (mixed-use development), which stands on an area of ​​over 700 acres in the Serpong - Tangerang. The area was developed since 1994 and has been transformed into an independent city established, dynamic and be excellent in the area west of Jakarta. 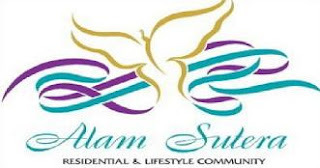 Consisting of residential areas and commercial areas are integrated with other supporting facilities, Alam Sutera Realty region presents a comfort, as well as ease of life that is difficult to find in other areas. A variety of premium-quality facilities ranging from education, entertainment, health, shopping centers have to be present and increasingly complement this region. The rapid growth of the region has Alam Sutera Realty increasingly trusted by the public as an option in creating quality living. Alam Sutera believes that all efforts should prioritize the development of environmental factors. For Alam Sutera Realty, environmental factors not only a marketing strategy but rather a commitment to be consistently implemented.